Beijing Language and Culture University (BLCU) is the only university of its kind in China with the primary task of teaching Chinese language and culture to foreign students; it also undertakes the tasks of educating Chinese students in foreign languages and other relevant subjects of humanities and social sciences, training teachers teaching Chinese as a foreign language, and providing intensive trainings in foreign languages. During the 50 years since its founding, BLCU has taught Chinese language and culture to over 100,000 international students from 160 countries and regions around the world who are now proficient in Chinese and familiar with Chinese culture. Nowadays, more than 10,000 international students and over 5,000 Chinese students come here to study each year. Originally named as the "Higher Preparatory School for Foreign Students", BLCU was established in June 1962. In 1964, the school's name was officially changed to Beijing Language Institute and later renamed as Beijing Language and Culture University in June 1996. Then with the approval of the Ministry of Education, the name was shortened to Beijing Language University (in Chinese) in July 2002. 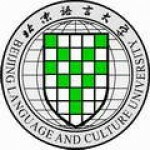 BLCU compiles and publishes three core journals, namely YUYAN JIAOXUE YUE YANJIU, SHIJIE HANYU JIAOXUE, and ZHONGGUO WENHUA YANJIU. The university press has produced more than 2,000 different textbooks which have been highly influential both in China and abroad, having been adopted as Chinese-teaching curricula by more than one hundred colleges and language training organizations all over the world.